Summer’s all about colour… Everywhere! 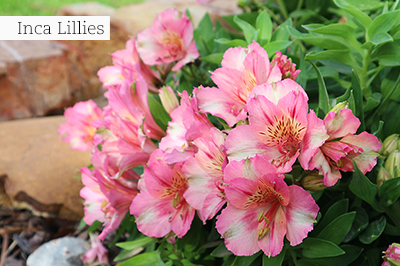 The all-time favourites are in full bloom and you need more of them. The best news is the availability of modern varieties of many perennials and edibles which can be planted and enjoyed in the smallest of spaces. You can also plant future health today! The new-age dwarf Inca lilies are magnificent for the garden and suitable to grow in containers too, as they reach a height of only 30-35cm. 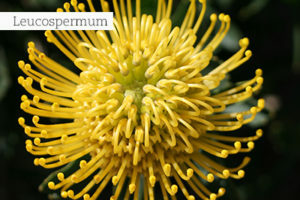 They flower profusely from spring to autumn and can be found in a wide range of bright colours. These shorty’s can, just like their taller family members, be picked as long-lasting cut flowers. Good for sun or light shade. Plant in well-aerated soil, enriched with compost. Brighten up shady areas with glorious hydrangeas, which will now be available in flower. Colour in between them with impatiens, begonias and browallia. Remember that: Hydrangeas love dappled shade, well-aerated soil and lots of water. If you want to grow them in pots, place them on the Southern side of the house for early morning sun and afternoon shade. They need to be fed monthly from August to March with a balanced combination fertiliser. The Pondo Waterwood (Syzygium pondoense) is a perfectly sphere-shaped shrub to add structure or formality to any garden setting, and is known as an absolute bird magnet. It is indigenous and endemic to the Northern Eastern Cape and the Southern Kwa-Zulu Natal area, where it grows along the rocky beds of streams. It is evergreen and can reach a height and diameter of 3m. The new shoots and leaves are reddish in colour but as they mature, become shiny and dark green with a leathery feel. 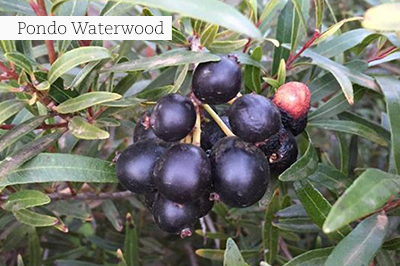 The Pondo Waterwood will burst into copious sweetly scented white flowers in early summer. These flowers are loved by butterflies, bees and insects, followed in hot pursuit by every garden bird imaginable. In autumn, the scented flowers give way to an abundance of plum coloured fruit which means the birds will arrive once again to feast on them. The Pondo Waterwood grows in the sun but will tolerate some shade. Although this plant is very water wise, regular watering and feeding will give better results. Plant this coast-friendly plant in well-drained soil. Recommendation: An excellent indigenous clipping plant to shape into pretty topiaries or to use as hedging for all but the coldest regions in the land! If you are looking for lovely summer colour to plant now, go for vincas (Catharanthus roseus). Intensive breeding has resulted in compact, bushy plants with a long flowering period, including a colour range of pinks, reds, white, apricot, and even include the popular varieties; ‘Jams ’n Jellies’ with nearly black flowers and ‘American Pie Mix’ with an interesting mix of white and berry coloured blooms. Good colour companions for vincas are salvias, marigolds, verbenas, angelonias and zinnias. Recharge your roses after their October flower flush with a specific rose fertiliser. Check the mulch around plants and renew it if necessary to keep the roots cool and moist. 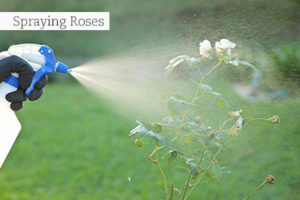 Water at least three times per week and spray fortnightly with a combination rose spray to deter pests. The Moringa tree (Moringa oleifera) also known as the Miracle Tree, Drumstick Tree, Horseradish Tree or Radish Tree, is a very fast growing deciduous tree that is packed with an almost unbelievable number of health benefits. Every part of this tree from the leaves, flowers, seed pods, seeds, roots and bark is edible. Moringa has been used for medicinal purposes for at least the last 4000 years. These trees are extremely drought resistant and suitable for very hot tropical and subtropical climates. Enquire at your local GCA nursery for stock and more information. 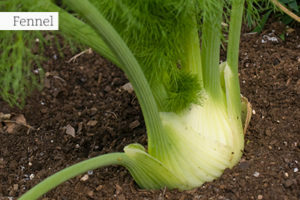 Fennel (Foeniculum vulgare) hails from the Mediterranean regions where it grows naturally along the coast and dry rocky outcrops – a very attractive herbal plant which needs little else than lots of sun and ordinary garden soil. A cousin, known as bronze fennel (Foeniculum vulgare ‘Rubrum Purpureum’), is an even prettier foliage plant, often grown amongst other perennials in a flower border. Apart from its natural good looks, fennel is prized for its culinary and medicinal values. The ferny leaves and copious seed produced in umbels of dainty yellow flowerheads are very aromatic, lending a subtle anise flavour to fish, chicken and veggie dishes, and they can also be used to bathe sore eyes as well as to soothe indigestion and nausea. While fennel flowers are irresistible to butterflies, they can also be used to attract aphids away from other susceptible plants. In the flower garden they are perfect companions for sun-lovers like dahlias, salvias, zinnias, cosmos and gauras. It is not uncommon for 25-40% of lawn to be covered in partial or deep shade – not ideal situations for sun-loving lawns! If shade is extreme, try to eliminate some of it by trimming low and overhanging branches of trees, or replace the lawn with shade-loving groundcovers. The other option is to use grass mixtures/blends which are capable of withstanding shade by over-seeding the existing lawn with it. Your GCA nursery will be able to advise you on the correct product. Fynbos like buchus, leucospermums, ericas, and proteas can be pruned after flowering. Also prune confetti bushes quite hard. Stop lavenders like Lavandula stoechas from becoming woody by pruning them just after a flowering spell – this will keep them healthy and around for longer. Prune about two thirds of the growth away, and never into old wood. Plant much more… Lavenders, cupheas, gauras, and angelonias and you simply cannot forget about all the agapanthus hybrids which will be in flower and in stock now. Eat your flowers – nothing makes a summer salad look prettier than garden flowers scattered over it – it’s high fashion too! So, add some begonias, daylilies, hibiscus, borage and pineapple sage to your garden for culinary use. You can feed yourself royally by gardening in containers only. Plant blueberries, strawberries and Cape gooseberries in large pots. 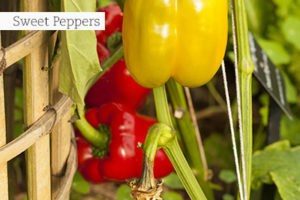 Look out at GCA garden centres for ‘The Patio’ range of veggies like a Roma container tomato, a mini-butternut called Butternut ‘Honeynut’, and the golden Zucchini ‘Easy Pick’. Going to the coast soon? 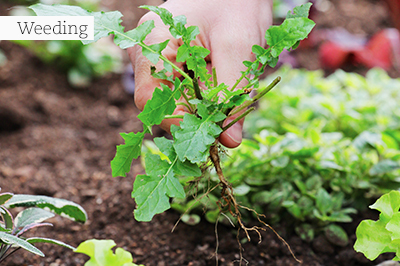 Weed all beds, feed with a general fertiliser, water well afterwards and mulch – this will keep your garden safe until your return. Check that your irrigation system is working perfectly and covering all areas, provided that your water restrictions allow for this. Acid loving hydrangeas, gardenias and fuchsias are at their best now. If not, feed the plants with an acidic foliar feed and mulch around the base with bark chips. You are reminded (with gardeners everywhere!) to keep on planting for birds and butterflies. Wild Dagga, September Bush, Pentas lanceolata and the wonderful Buddleja ‘Buzz’ range of dwarf butterfly bushes are highly recommended to make your garden come alive! If potted plants are sagging, it could be a drainage problem. Lift them onto ‘pot feet’ or old bricks to ensure that drainage holes remain functional. Water plants that are under the roof overhang of buildings. While it is wet outside, they can die from drought! Woe on the beetles – It is not difficult to miss the yellow and black beetles which will devour flowers with ease in a day. These pests are either the CMR beetle or the fruit chafer (bigger and nastier!). Get advice from your local GCA garden centre for the perfect remedy. It makes sense to grow your own sweet peppers, as ripe sweet peppers are quite expensive to buy – besides, homegrown is best! If you look after the plants well (you can sow them, or plant seedlings) they will keep on producing fruit for up to six months. They can also be grown in pots, which should be kept in morning sun and afternoon shade. Did you know that snails don’t like parsley? That is why it is a good reason to plant miles of parsley between, or as a border around lettuces, green beans or Swiss chard to protect them. If you have planted some brinjals (eggplants) in the veggie patch or into pots (they do well in pots! ), add the following companion plants to complement their taste: oregano, marjoram, thyme, sweet basil and rosemary. Keep water around your roots. Use water-retention granules in flowerbeds when planting young summer annuals such as salvias, portulacas, vincas and celosias. Water-retentive products break the water-resistant layer of certain soils, draw the water deeper into the plant’s root zones and keep the soil moist for longer. If you do not see a dark emerald green lawn before you, fertilise now and water and mow regularly. Red bedding plants are just the ticket to vamp up your garden before the holiday hordes arrive. You can use them as an economical option for patio and even indoor table decoration during festive parties too. After filling bare spots in the garden with this eye-catching colour, also plant individual seedlings into small pots to grow on. Examples are begonias, dianthus, New Guinea Impatiens, red salvias, vincas and petunias. Follow up spraying of fruit trees only if the fruit are still small and green, to stop damage by fruit flies. Watch out for powdery mildew on the pumpkin family and put out bait for pumpkin fly.